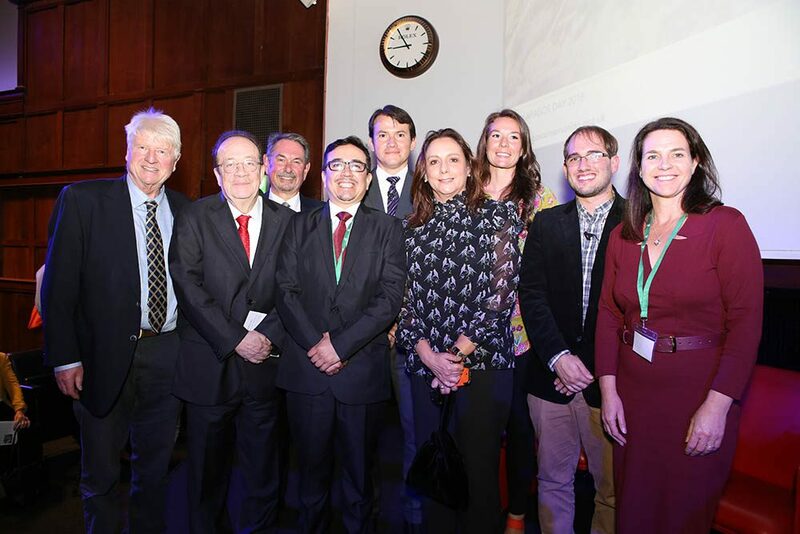 This Galapagos Day, 10 October 2018, we came together to celebrate the conservation innovations and breakthroughs occurring on the Islands. Thanks to its renown as a ‘living laboratory’, the Galapagos conservation community is a leader in using cutting-edge science and technology to help conserve its unique wildlife and habitats. 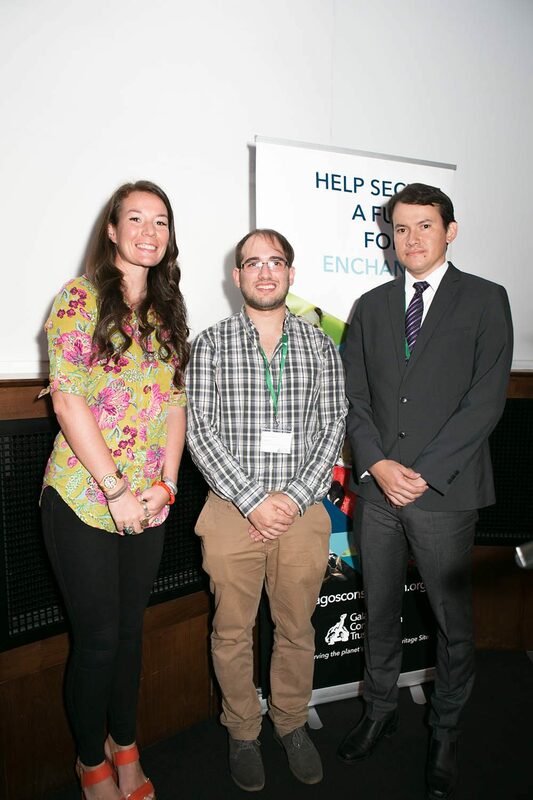 We were then delighted to invite Dr Jorge Carrion, Director of the Galapagos National Park (GNP) to the stage. 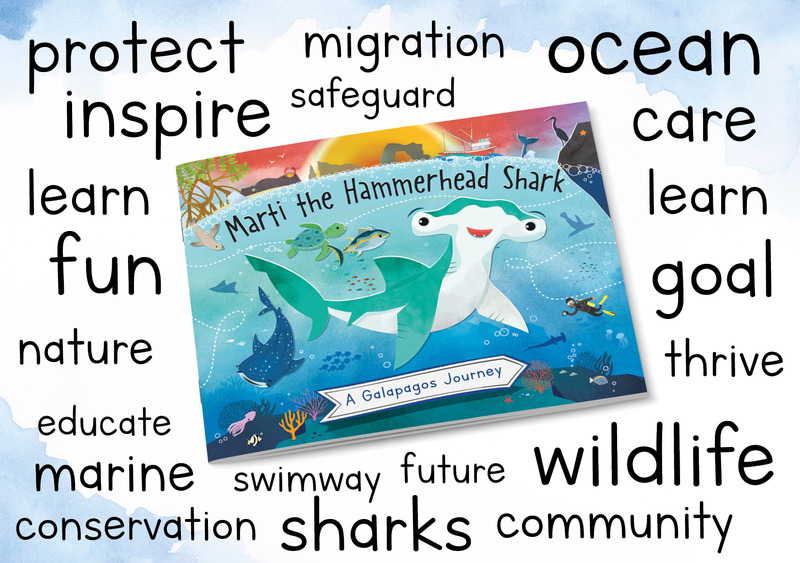 Jorge spoke to us about the satellite technology that the GNP uses to safeguard the Galapagos Marine Reserve (GMR) from harmful activities such as illegal fishing. He highlighted plans to strengthen the laws and ensure all vessels in the GMR are able to be monitored. Dr Carrion also talked about the illegal fishing vessel Fu Yuan Yu Leng 999 intercepted in the GMR last year with thousands of sharks on board. 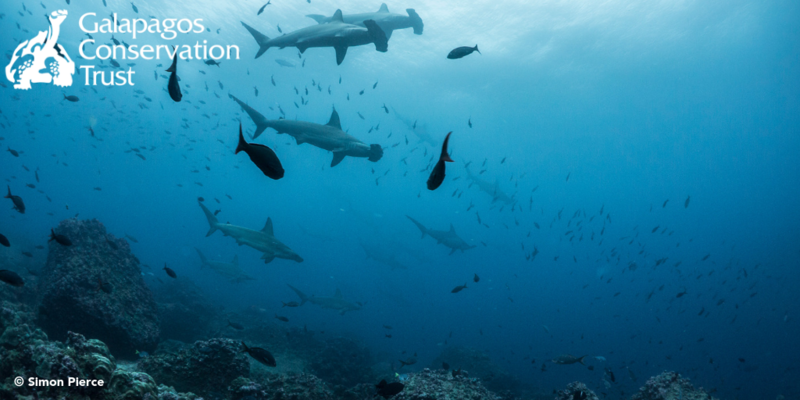 The increased utilisation of technology protects the GMR, which has the highest concentration of sharks in the world, from illegal activities helps to conserve one of the richest marine environments. Next, Ellie Mackay, Mission Director of The Plastic Tide, came to the stage to talk to us about the use of drones to survey plastic in Galapagos. Firstly though, she shared some shocking statistics. 8 to 10 million tons of plastics enters our ocean each year. The debris that we can see represents 1% of the plastics that have been used, so where is the other 99%? Ellie also shared some wise words from Annie Leonard: “There is no such thing as ‘away’. When we throw anything away, it must go somewhere”. Earlier this year, Sharon joined Ellie to trial using drone technology to survey remote Galapagos beaches for plastics. Ellie shared the positive results from this trial. 18,200 km of the Galapagos coastline is inaccessible, so drones will make it possible to take accurate surveys and train an algorithm to identify plastic pieces from the images. 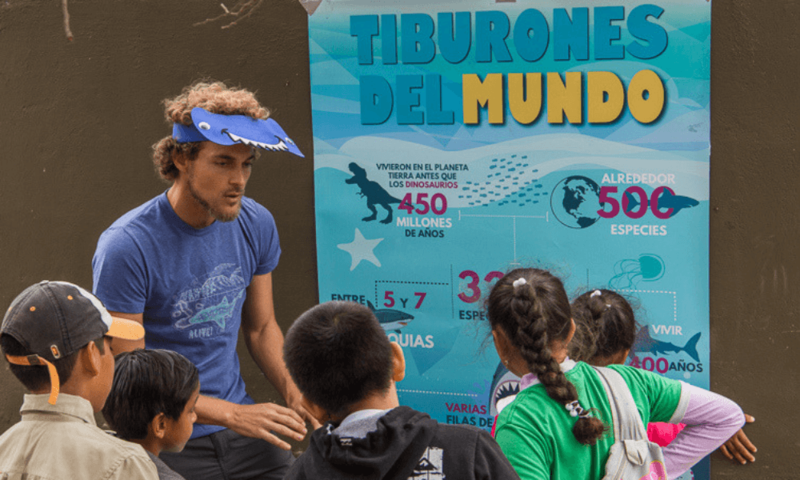 Finally, Diego Ellis Soto, who works with the Galapagos Tortoise Movement Ecology Programme (GTMEP), came to talk to us about giant tortoise migrations with the fascinating question “Why would a 300 kilogram reptile drag itself up and down a volcano?”. He also highlighted another important question which is “will the giant tortoise be able to migrate in 50 or 100 years’ time?”. The GTMEP looks to improve our understanding of the ecology of giant tortoises in order to inform future conservation strategies. The below video shows us a giant tortoise migration on Alcedo volcano, Isabela island. Diego also spoke to us about the upcoming launch of the ICARUS initiative. This amazing new technology, connected with the International Space Station, will allow us to use smaller and more accurate tags for the tortoises, including newly emerged Galapagos giant tortoise hatchlings, and track them from space in near real time! GCT would like to say a big thank you to Dr Jorge Carrion (and James Lutpon who interpreted Jorge’s talk into English for us), Ellie Mackay and Diego Ellis Soto for their captivating and thoroughly exciting talks. We would also like to thank Metropolitan Touring for donating our annual raffle prize and to everyone who bought raffle tickets – we raised around £10,000! Finally, a huge thank you to everyone who came along to support us and to all our volunteers for helping the event be such a success. We look forward to seeing you next year! 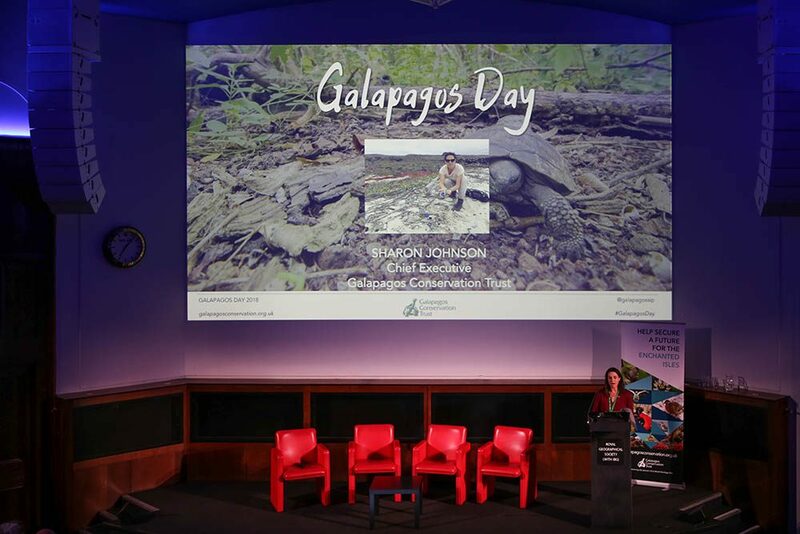 Our Galapagos Day Gallery is available here and a recording of the event is available on Soundcloud. If you would like to donate to any of the projects discussed on the night you can donate online here. Why not join as a member of Galapagos Conservation Trust, and become a part of the ongoing efforts to preserve and protect these incredible Islands and their unique flora and fauna. Without our members, we could not fund the crucial research and fieldwork that the Galapagos Islands so desperately need. If you would like to keep up to date with news, events and updates from our projects by signing up to our monthly eNewsletter. This entry was posted in Appeal, Events, News and tagged Galapagos Day, giant tortoise, ICARUS, Jorge Carrion, plastics. Bookmark the permalink.